Starting from Iloilo City, I went to Cuyo Island and several destinations in the northern half of Palawan Island including Puerto Princesa City, Honda Bay, Sabang (St. Paul Underground River), Port Barton, San Vicente, Taytay, and El Nido. This is the itinerary I did during my 12-day “do it yourself” (DIY) backpacking trip to Palawan including a summary of my budget and expenses. There are meals w/ rice available. Instant Cup Noodles – P30. Pepsi (330ml) – P25. Mineral Water (500ml) – P20. I suggest buying food at the supermarket / convenient store before going to the terminal. The canteen provides complimentary hot water if you brought your own “instant” foods. 5:30AM – Woke-up. There are bathrooms onboard where you can also take a bath. 1:30PM – Returned to Cuyo Pier. Paid P20 terminal fee. 11:45AM – Disembarked RoRo ferry. Walked to Rizal Avenue. Boarded “San Jose Terminal” jeep to San Jose New Market Terminal (P12). 12:20NN – Arrived in San Jose. No El Nido buses left. Decided to go to San Vicente first instead of El Nido. Walked to Fort Wally Van Terminal. Walked around the town proper. Went to pier, market terminal, bayside promenade / park. 5:20PM – Arrived back to El Nido Town Proper. Ended up paying only P600 after complaining about the engine breakdown. Bus ride from San Jose Intersection, Roxas to Salvacion Intersection, Puerto Princesa City (P60). Find more posts about Favorites. 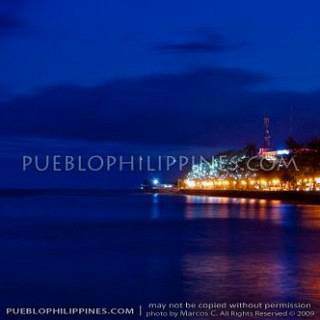 Discover more blogs and travel tips in El Nido, Palawan, Puerto Princesa City. These makes me want to go to Palawan as well. Thank you gd Marc sa pag-share sang itinerary mo. Hi there Marc! Wonderful Palawan adventures, I must say. It’s my turn to thank you for posting your detailed itinerary and expenses. Can’t wait to experience Palawan, too! Though I’m still torn between Banaue-Sagada and Puerto Princesa-El Nido for our next family summer vacay. :) I’m adding you to my blogroll, btw. :) More DIY travels for us! hi marc, thank you for sharing your Palawan adventures..the itenirary & expenses WoW… pwede pla mag DIY sa El Nido…excited narin ako for our Palawan trip…& bka mag DIY narin…sana pla may Dos Palmas krin as backpackers…anyways…thank you sa tips and god bless! No problem. Good luck for your trip, hope you have fun in Palawan. Dos Palmas as “backpackers”? hmm… I don’t Dos Palmas is backpacker friendly since it’s an upscale resort. Dos Palmas does have an organized day tour of its resort though but I don’t think you can make a DIY trip out of it. Wow! That was a messed up itinerary my friend. It’s better to first arrive in Puerto Princesa by air, and Day 1: tour the city. Day 2: go to Honda Bay for Island Hopping Tour, then on to Sabang. Day 3: In Sabang take the Underground River Tour and hike to the waterfalls. Day 4: We invite you to ride the ROYJEN Double-deck Charter Boat for a 2-3 day Sea Adventure from the Sabang to El Nido. Includes: Bay Trolling, Island Hopping, Snorkeling and freshly caught seafood meals. Messed up? that’s harsh. I got to visit all the places I wanted, I’m sure that itself makes for a successful itinerary. I actually already saw your packages before the trip but I didn’t choose it because I was traveling alone and the price difference is very substantial. Though, I was interested in traveling across Palawan by boat so I could get to see the coast and outlying islands from a better angle but the chartered boat just wasn’t within my budget. Thanks for posting your itinerary and expenses breakdown. So El Nido Plaza Inn is cheaper than Marina Garden, that gives me an idea on my next trip in El Nido. I went to Marina Garden too before taking the room in El Nido Plaza Inn and, yep, the prince Marina Garden gave me was higher … I think it was more than P500. I asked them about their old cottages but it was still within the same price range. There was this resort called Dara Fernandez, which had a beachfront room good for 3 persons and they gave it to me for P500. I would’ve taken it if I weren’t feeling thrifty at that moment. Unbelievable! For only P14,622.25? Ang galing mo! 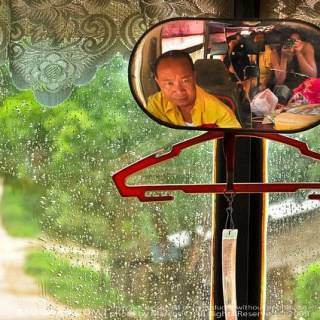 Achievable naman basta you forgo some conveniences of travel like taking the cheapest forms of public transport. Congratulations for nailing your first solo backpacking under a tight budget! :) This made me wonder if I could pull off something like this soon. I am wondering too if it is possible to be back from El Nido in Puerto Princesa (in the evening) with a Sabang sidetrip (St. Paul Underground River) in between. Do you have ideas/insights regarding how regular and what are the public transportation options from Sabang to Puerto Princesa? Nice itinerary. probably the one i needed. Pwede po pa specify po specifically pano po mag commute going to Baker’s Hill, Mitra’s Ranch. San po ako maghahanap ng Irawan Jeep, saang side ng Rizal Avenue ko po sya makikita? I want to go to Palawan again. Your post is inspiring. Thanks for sharing. Thumbs up! Great! Thanks mate! Exactly the informations that i was looking for and i couldn’t find nowhere! Im in boracay now and tomorrow i will take ferry from iloilo to pp!! That’s great to hear. Hope you have a great trip! The buses from Puerto Princesa bound buses from Sabang passes by the road going to Santa Lourdes wharf, the main jump off point to Honda Bay … from the highway, it’s quite a long walk to the wharf … probably around 15-minutes. WHOA!!! I like this one, the best blog i’ve seen so far regarding DIYs and backpackings. KUDOS to u and for sure, u have a fan in me. followed u already on twitter. Kewl. You just inspired me to blog more (for the moment). Thanks clen. Will go backpacking in Palawan man this Sept! This post is very helpful guid! Salamat, Nong! Our trip will be a lot shorter though, around 5days lang. We wanted to squeez in El Nido but the travel time from Puerto is 8hrs daw? is it true? Thanks for a very detailed post of itinerary and the corresponding costs. Been to Palawan thrice but never gone to places outside PPC. Im excited to try your itinerary going to El Nido. 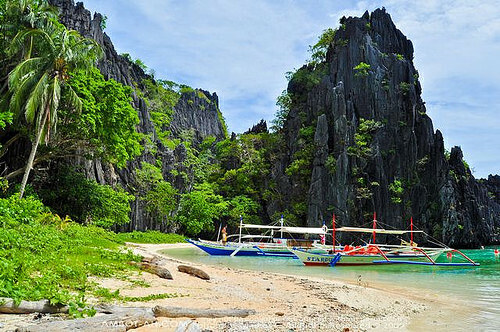 Is there a way to go there (El Nido) skipping Puerto Princesa? If you’re up to splurge on airfare, SEAIR services direct flights to El Nido Airport from Manila. pirti kanami sang blog mo, dako gid ni ma bulig sa akon ga plan ko mag lakat ng palawan upod ang bana ko…thank you sa info!!!!!! Glad to be of service goldzax ^_^ i-enjoy niyo guid ang Palawan, it’s worth the travel guid ya. Amazing details on pricing. Just what I was looking for for my upcoming first ever solo trip. I’ve always wanted to see palawan!!! just couldn’t find the time to do it. It’s gonna be just a 5 day trip though and like a poster above, may have to forgo “el nido”. Thanks for all the info on the prices I have a rough estimate on how much to budget. I’m so nervous but quite excited. Can you tell me something about general safety in the area? I’m a bit concerned coz I’m female with no companions. Will be bringing my laptop because I need to take care of work in the evenings. 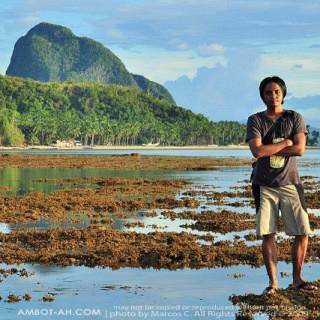 Ahh… Palawan in an excellent place to start traveling solo … coz there’s a lot of solo backpackers going there too. It’s a safe place to travel to, even Puerto Princesa City … I won’t don’t go as far as to say not to worry about your safety because it’s always present anywhere you go. I will say that its not an issue in Palawan … except when you go trekking in the jungles south of PPC, you must be cautious at the notorious malaria mosquitoes, hehe. On a budget, I spent P1,000 per day average. Spending much less is doable. Hope my blog didn’t distract you too much from your finals. I can relate Pau. I used to also just think about the prospects of visiting Palawan … it was so great I was finally able to go on the trip. Palawan is so worth it. Good luck on your trip Nilo! Great blog!! We will be in Palawan on the 14th of march and will stay for 5 days. This is a great help. Salamat guid! Nice blog Marcos :-). Mangkot lang tani ako kun may ara nga van or bus from PP port- PP Centrum. Layo pa ang port sa city proper/ centrum or lapit lang sya? Centrum guid ya!? The port is right within the city proper district. There’s a jeepney from the port to Rizal Ave.
thanks for writing this blog!!! !im super inspired to save and travel… already been to davao, baguio, bohol and cebu.. :) after reading this…i think palawan is my next…… will wait and read your blogs!!!! My friend and I are huge fans of your blog :) This post will definitely help me on my first solo trip in Palawan. Thanks a lot! Hi Marcos! 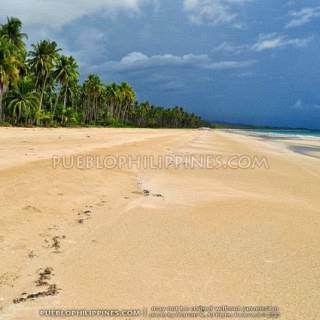 Which one between Taytay and Port Barton are more worth it of visiting? We were originally planning to stay in Taytay but someone told us Port Barton has more places to see. Haven’t actually gone island hopping both sa Port Barton at sa Taytay, so I don’t know which to recommend :) I’ve only been to the mainland parts. If you’re going to stay at Port Barton, it’s possible to take a short side trip to Taytay to see the old fort. It’s just 10 minutes away from the highway. Yes, couchsurfing will cut costs significantly. hello sir marcos asked lng ako kng may bayad pa ba yung pag pasok sa Underground river.? thank you. Wow! Very detailed. I know a place where you can stay in Palawan I think this is the site . Its a budget hotel in Palawan. There are a lot of place to stay in palawan. Go for budget hotels. They give lots of discounts for backpackers and tourist in a budget. I went there last year and tama kayo. Budget Hotel talaga siya. Yes Really go for go hotel. Di kayo magsisisi. It will surely make your trip so perfect!